Can I Pursue Two Degrees at a Time from IGNOU? Every student thinks about doing various degree courses at the same time. Now the question arises is that cana student pursues two Degree Courses at same time (simultaneously) and Joint Degree Programme, Are you wondering if you can pursue two programs at the same time? Yes, you can do that. 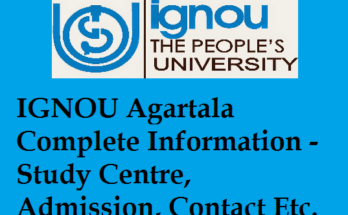 Any student can enroll in two programs from IGNOU at the same time. But there are certain restrictions that you should be aware of. 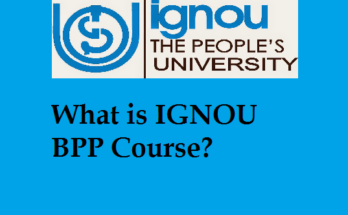 If you are a student who is going to pursue a bachelor or masters degree from IGNOU as a distance learning course you cannot pursue a similar degree from another institution. That only one degree is valid during. So you want to pursue a bachelor’s from a local University and you also apply for a certificate program from IGNOU. This is a rule given by UGC according to which only one degree is valid in a single academic year. Although if you are going to apply for a Master or a bachelor’s degree from IGNOU you can pursue a 6-month certificate course. This is 6-month certificate courses does not lead to a degree and thus you can pursue it with any degree program. But again a diploma and degree cannot be done together. The same is also mentioned on the IGNOU University website that you cannot pursue 2 academic programs (ex. Two degrees or two diplomas) simultaneously from the same University unless it’s a certificate program of 6 months duration. So if you are doing a bachelors or Masters from a central or State University and you have an interested in another field you can pursue a certificate program from IGNOU. 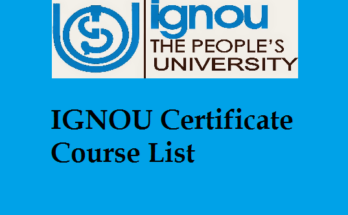 This means that it you can have a certificate program and degree simultaneously from IGNOU. IGNOU Admission process works twice a year once in January cycle and once in June – July cycle. So depending on whenever you want to enroll in a certificate program you can do that twice a year. Also, remember that the certificate program can be completed in under 2 years only. So if you enroll in a course and you don’t have time to study for the course this semester you can do it in next semester as well. What all is considered Valid? you can also enrol for two diploma/certificate together at the same academic year. Now if you’re confused about pursuing two degrees, one from the regular mode and one from distance learning mode here is a solution. According to a circular by University Grant commission from a meeting held in December 2012, a student enrolled in a regular degree from University is allowed to pursue a maximum of one additional degree program simultaneously from open or distance learning mode from the same or different University. This means that if you for pursuing a degree from the regular mode of a state or local or Central University you can enter a degree program from IGNOU.